Here you see the right side of the lander. Note the blue hatch, and the ladder underneath it. 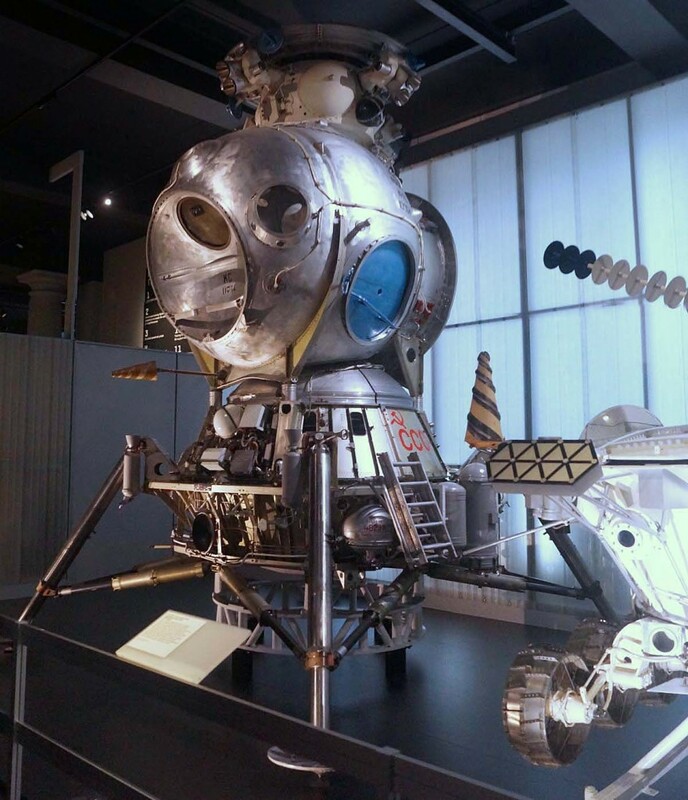 Left side of the LK lander, note the docking and rendezvous equipment on the top.Whole thing, and lunokhod behind it. Again the side of the LK Lander with the exit hatch and ladder. This is a hold down jet, mounted on top of each leg. It fires immediately on touchdown, to prevent bouncing. 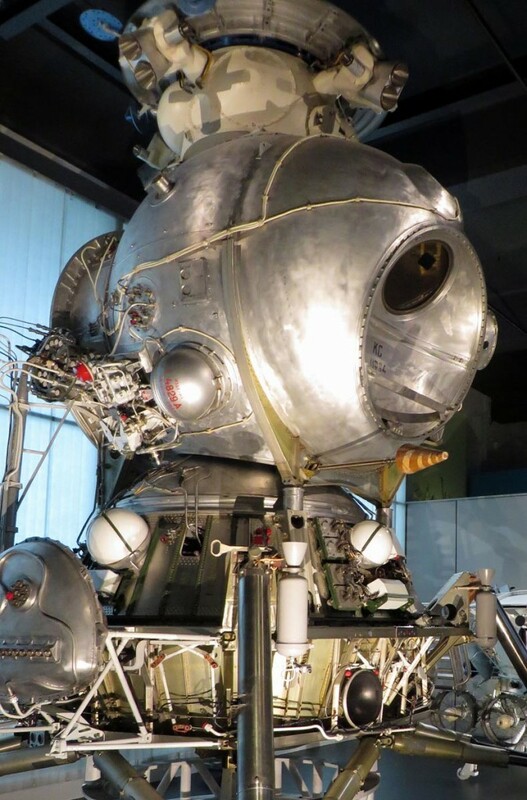 Hi… Was doing some research on the N1/L3 Soviet lunar program and came across your page with the fantastic photos of the LK lander. If I`d had known about the exhibition I would have flown over from Canada to see it. 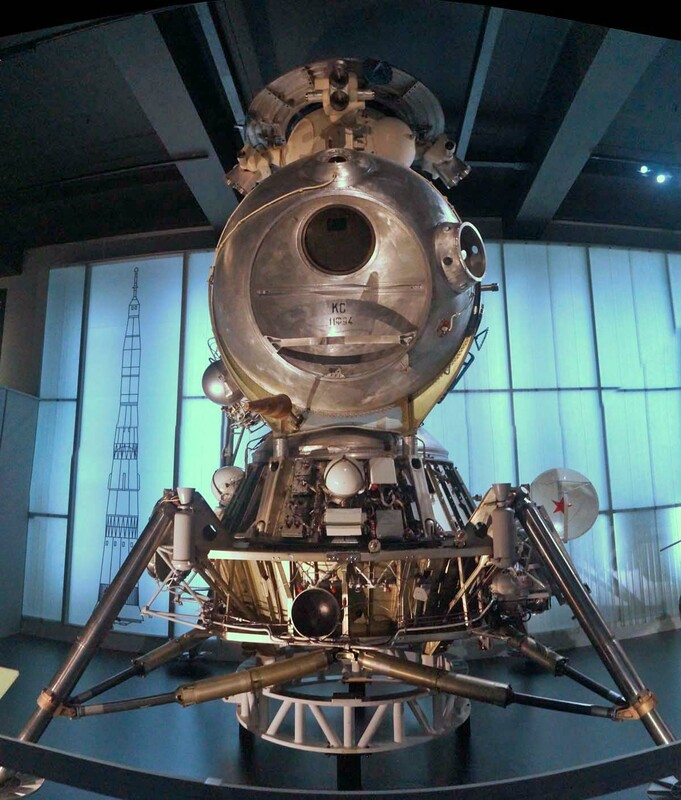 Is the Apollo 10 spacecraft still there? It has always looked like a really `clunky` piece of machinery to me. You have probably seen some pics of the inside, like I have. 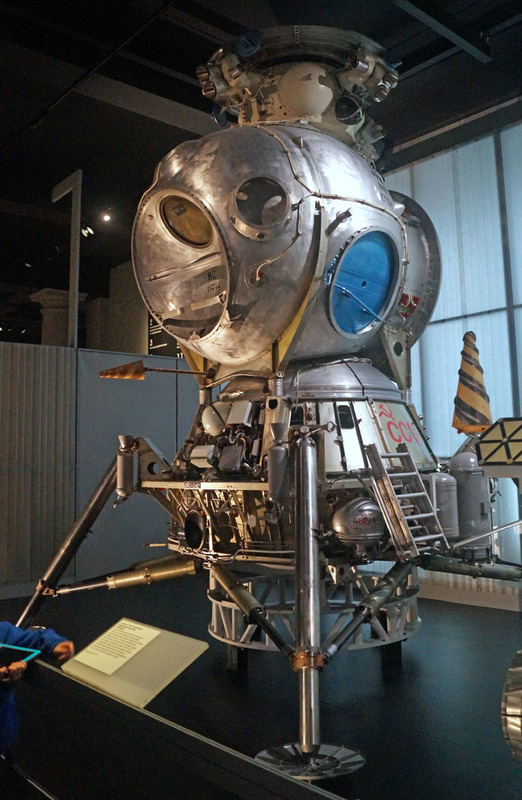 I do not know how the levers and pulleys would have been operated by a single cosmonaut ! It was hairy enough for the two Apollo astronauts to touch down safely, so how Alexi Leonov, reportedly, would have done it I dont know. BUT, that said, if anyone could have it would have been him !! This exhibition, was it part of the Soviet display that had Valentina Tereshkova in attendance ? She is only of three cosmonauts left from the Vostok/Voskhod days. Hi Ken, and thanks for the comment. Yes, Valentina Tereshkova did appear, they had her Vostok there as well! I also saw Alexei Leonov speak at roughly the same time, and that was utterly awesome. Incredible to hear the details of his spacewalk first hand. Did you also spot the N1 pics on my old site? Nice information and pictures. I always wonder why they went for a design with no internal connection between the orbiter and lander ?? 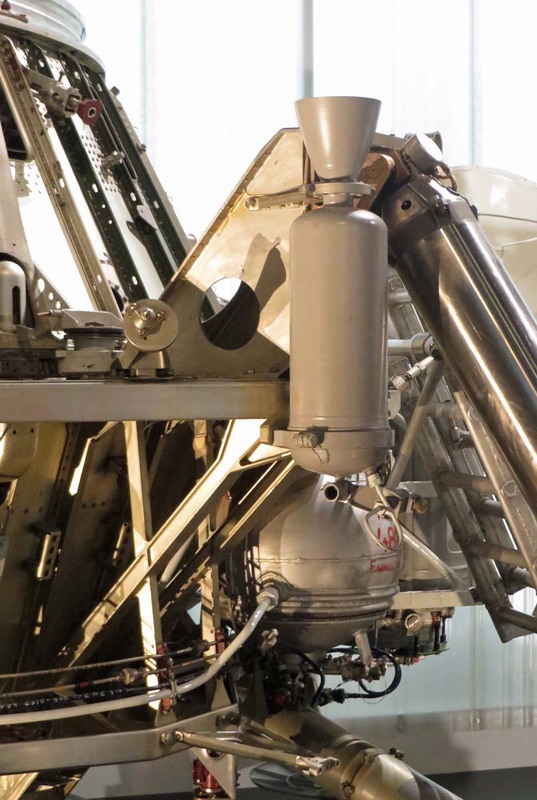 Was it to save weight or keep it simple as the were unsure of the N1 Payload? Keeping the weight down by keeping it simple. Basically all the LOK had to do to dock was to stab a hexagonal grid on top of the Lander.